There are lots of decent illusions out there for upgrading your pasta- using a spiralizer (which is so fun!) to make “noodles” out of veggies, non-traditional grains/flours, or even substituting spaghetti squash- but there hasn’t been a lot of advancement on the sauce front! This spell came about because I kept wanting MORE out of my pasta sauce- more veggies, more protein, more flavor!! 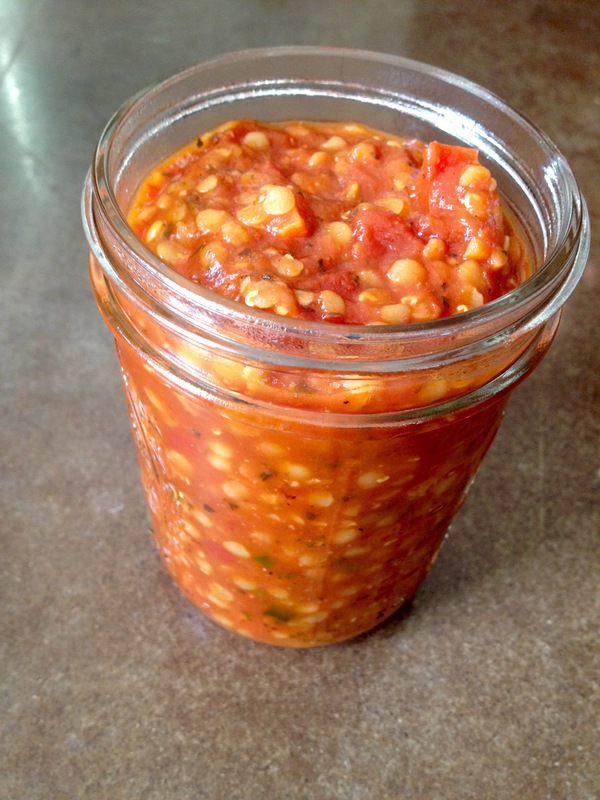 I use this sauce in everything- lasagnas, pastas, a topping for roasted veggies, or even as the base for lasagna soup! It even freezes well so that you can always have a back-up dinner handy! Getting this spell ready to go wasn’t easy! I have tried on numerous occasions to make marinara sauce and never had any success. It would be too sweet, or too tart, or too herb-y… Finally I realized that I was getting too complex, and I had too many moving parts! Like a good transmutation spell that turns iron to silver, I needed to start with good to get good out. Saute carrots, celery/onion, bell pepper, and garlic in oil or broth over medium heat until soft (5-7 minutes). Add basil, oregano, parsley, salt and additional seasonings as desired, stir to combine. Cook an additional 1-2 minutes. Add tomatoes, sauce, lentils, and broth, stir and heat until it comes to a boil. Once boiling, cover, and reduce heat to low. Simmer covered, stirring occasionally for 25 minutes until lentils are tender. **if you can’t find a plain, organic sauce, substitute an additional can of tomatoes and chilies, a small can of tomato paste, and an extra cup or two of broth! This entry was posted in comfort food, Magic Upgrade, powerful & potent and tagged comfort food, dinner, DIY, great leftovers, healthy, homemade, vegan, versatile. Bookmark the permalink. It’s definitely a favorite in our house- hope you enjoy it! Thanks for reading!